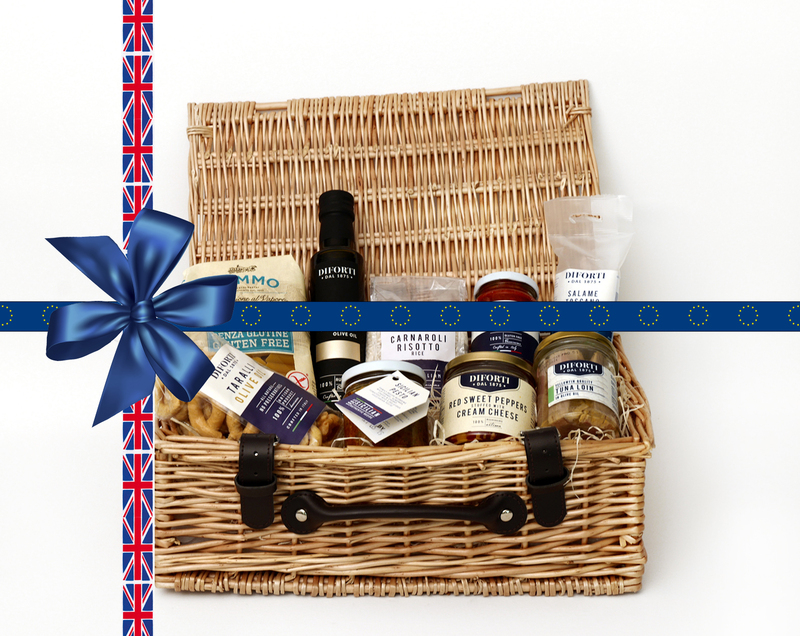 Popular Italian delicatessen Diforti has launched a Brexit Box to help shoppers prepare for shortages of their favourite foods. With Brexit threatening to disrupt imports from Europe, and warnings that food products from the continent could be harder to come by, Diforti has taken action with the release of their Brexit Box. The carefully curated box joins Diforti’s regular collection of gift hampers, all packed with Italian essentials and available to purchase online. From pesto to pasta to packets of rice, the contents of the Brexit Box have been selected to keep shoppers’ cupboards stocked for the long haul. It also contains their popular Red Sweet Peppers stuffed with Cheese, in response to fears that cheese will be among the main victims of post-Brexit food shortages. Founded by Michele Diforti in Sicily in 1875, Diforti is now run by great-great-grandsons Carlo and Andrea, and transports the traditional tastes of Italy to the UK through its online delicatessen. Diforti’s ethos is based around traditional family values and their Italian heritage, which is at the centre of everything they produce. The brothers personally develop each offering with specially selected suppliers in order to give their trade and retail customers a truly unique product. Diforti’s Brexit Box is priced at: £44.99 and available until stocks last. To find out more about Diforti’s extensive range of Italian treats visit: shop.diforti.com or call: 0208 953 5453 for trade customers, call: 0203 876 8690 for private customers.